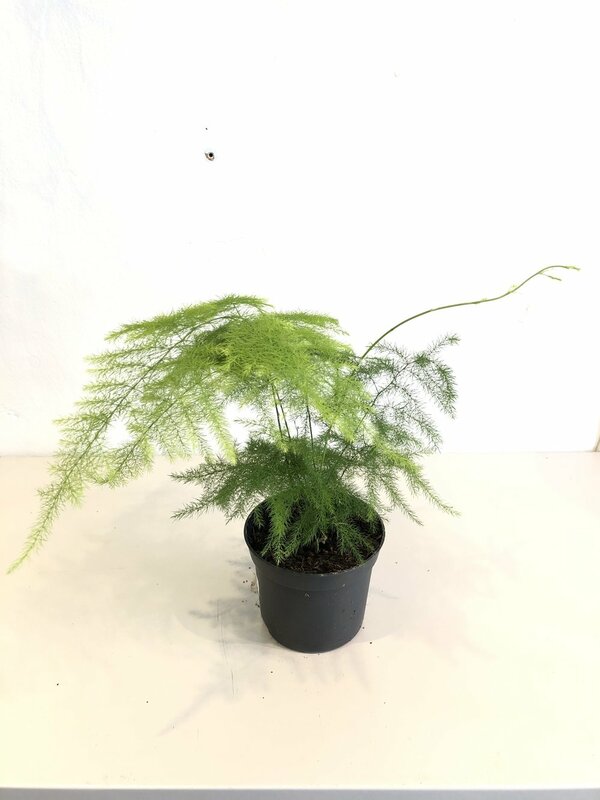 Asparagus ferns are part of a species of more than 300 plants that can be found at the bottom of Rainforests to the Archipelagos and semi-desert regions of Africa. They’re actually closer to the Lily family than a real fern. From large bottle terrariums that maintain water, to snuggled in a simple concrete pot, we use these ‘ferns’ in a variety of ways. They look perfect next to Fittonia in a vessel that gives it space to grow, or matched with one of the many pots we stock. Want to buy some terrarium plants like our ‘ferns’? Let us know what you’re after and we’ll tell you what’s in stock or we can figure out how much it might be to send them to you.